Sold per sheet. 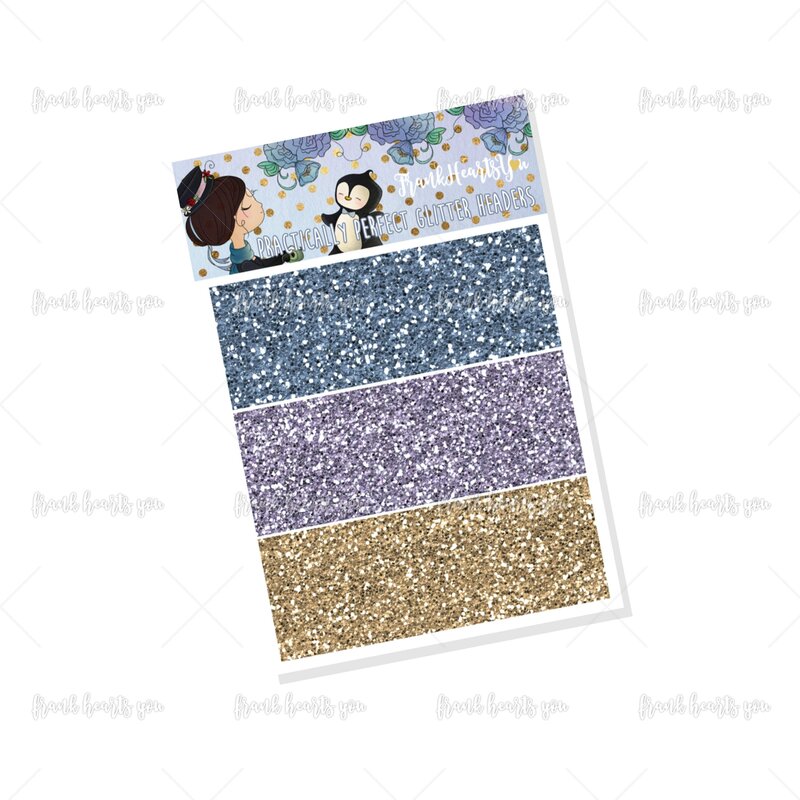 A mini sheet of coordinating glitter headers for the Mary Poppins kit. This is a glitter texture pattern. 3 colors, 8 strips of each. I adore all the purchases I’ve made from the shop. There’s something unique about the designs, colors, textures that are used in these kits. I love how there are coordinating separate aspects that you can purchase depending on your needs. I’m also blown away by the vibrancy of the stickers that’s when they’re in use. I’m very pleased with all my purchases.